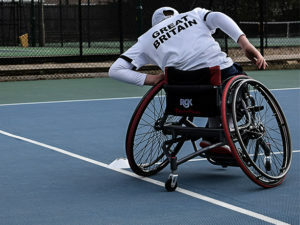 Wheelchair tennis player, Ben Bartram is climbing the ladder to success! 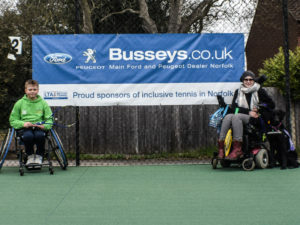 You may or may not know but here at Busseys, we have been sponsoring Inclusive Tennis for the last 2 years. Over these two years, we have had the privilege to attend two Complex Needs Schools Competitions held at the UEA Sportspark as well as a number of inclusive tennis sessions at the East Anglia Tennis and Squash Club. 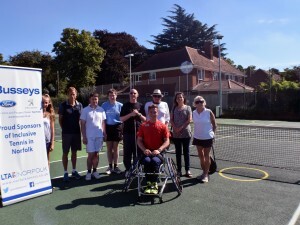 It has been great to see where our funds have gone and the positive effect it is having on inclusive tennis and today we bring you an inspiring success story from wheelchair tennis player, Ben Bartram. Ben Bartram has been playing tennis for 24 months now and at 12 years old he is a force to be reckoned with. In June this year, Ben made his GB debut in the junior team at this year’s World Team Cup and recorded his very first win for his country in straight sets. We’ve had the joy of getting to see Ben’s progress over the years and we couldn’t be more proud of the recognition he is receiving. Ben has a busy schedule for the rest of the year and we can’t wait to see how he gets on. 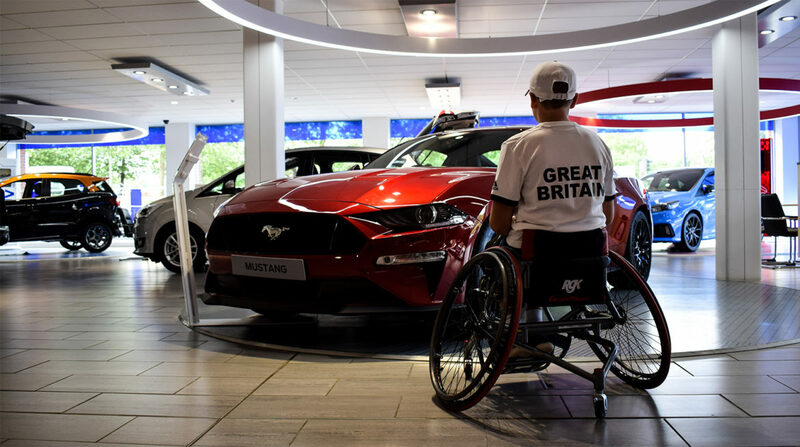 We asked Ben if he wouldn’t mind popping into our showroom so we could get a few photos of him in his GB kit in front of the stunning Mustang. 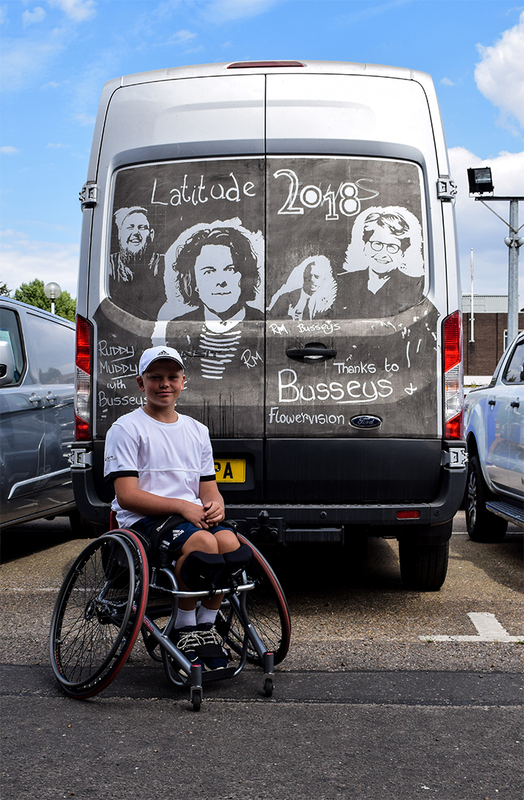 With the way Ben has been performing, we’re sure it won’t be long before he’ll be driving around in his very own, although Ben has informed us that he would prefer it in Orange Fury! 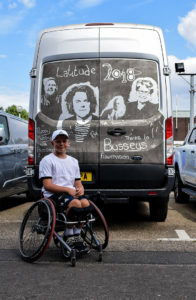 We also managed to snap a photo of Ben in front of the van we provided for local artist Ruddy Muddy to use during Latitude this year! We want to say a huge thank you to Ben’s coach, Derek Perry, his mum Samantha and of course Ben himself for coming along. Ben, we wish you the best of luck in the many events you’ve got coming your way this year and can’t wait to see you thrive even more!